WHAT IS A BRITISH PUB? A pub is a state of mind, and that alone sets it apart from any other drinking or eating establishment. It is a place where relaxation, stimulation and conversation are the order of the day. 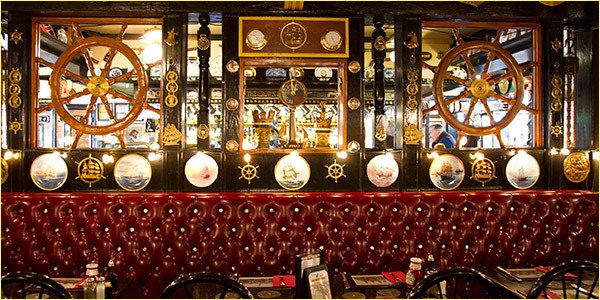 In their “local,” as the English refer to them, a sense of being “at home” is very much in evidence and it is the publican’s job to ensure the maintenance of that atmosphere. Informality is rampant and many a stout Englishman has fallen to the lure of his local, most notably when walking his dog. The urge to “dive in for a swift pint” has challenged and defeated the hardiest of souls. Welcome to our pub. You should be a stranger here but once. We hope that you will enjoy our local.